This pinto is a young stallion that has strayed from his bachelor band. Suddenly he stops. Standing on the ridgeline, he watches a herd of mares as they visit the watering hole below him. From his vantage point, he is relaxed and surprisingly calm, but very alert and interested. 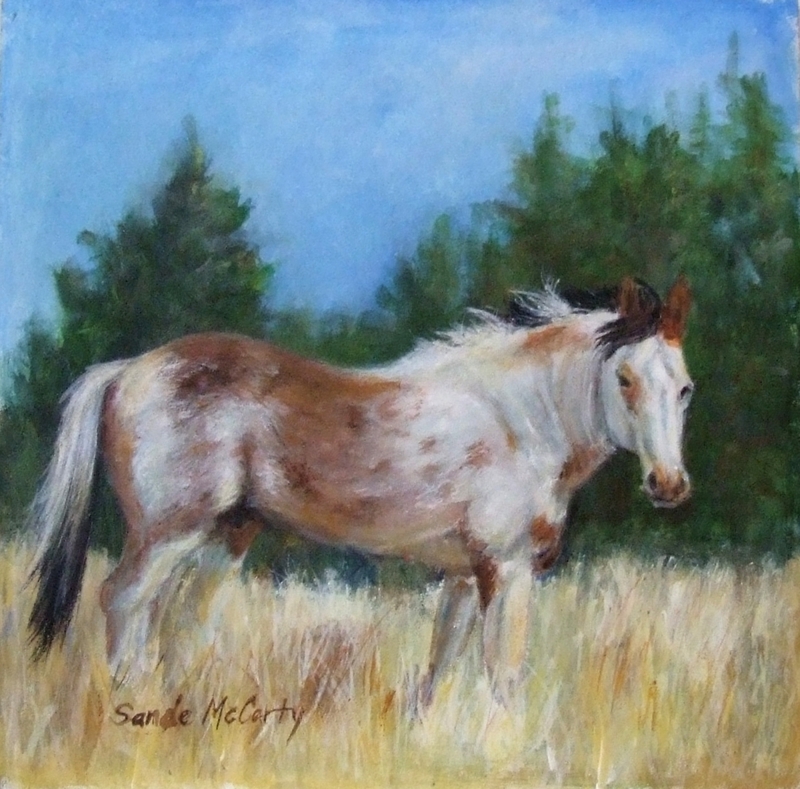 He studies the older, more experienced herd stallion. Is today the day he will make his challenge, and more importantly if he does will he win? 5" x 5.125"9" x 9.125"11" x 11.125"13" x 13.125"